KENNETT SQUARE, Pa. — As concern about climate change rises, researchers are working to develop innovative strategies to limit greenhouse gas emissions. Methane makes up 14 percent of greenhouse gas emissions globally and is 28 times more potent than carbon dioxide at trapping heat in the atmosphere. Livestock, mostly cattle raised for dairy and beef products, produce 25 percent of methane emissions in the United States. Dipti Pitta, an assistant professor at the University of Pennsylvania’s School of Veterinary Medicine, studies large animal nutrition and agriculture. She has received a USDA National Institute of Food and Agriculture grant of $500,000 for her research on the rumen, the large part of the cow’s first digestive chamber. 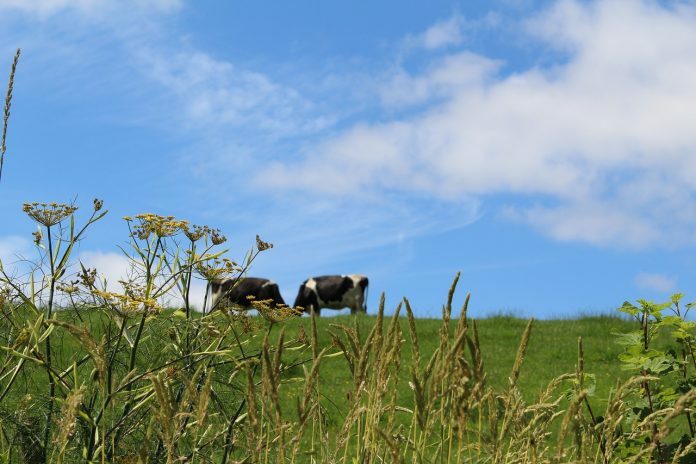 The grant funds three years of research, during which Pitta hopes to better understand microbial associations in the rumen that are essential for methane mitigation. She plans to develop advanced screening methods to better understand the rumen’s microbial and methanogen balance, and then combine her findings with data from milk production and feed-consumption profiles, and with findings about microbial fermentation.